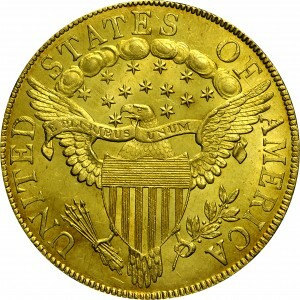 This is the single most common early ten-dollar gold coin minted from 1795 to 1804, with literally dozens of Mint-State examples known today, including this choice coin from the Bass Collection. 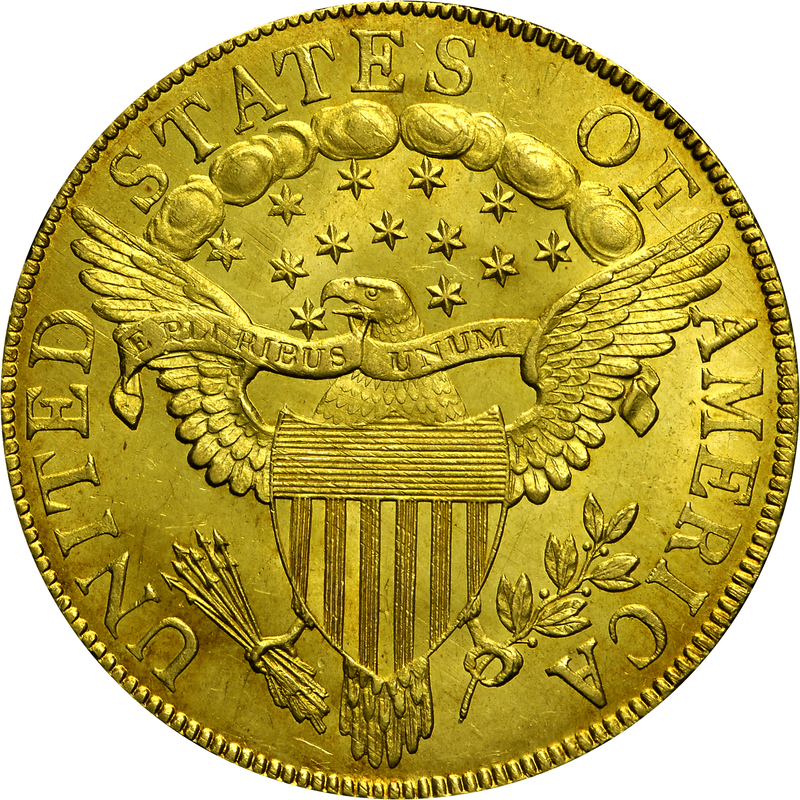 In January 1975, Abner Kreisberg held the first of three auction sales offering the collection of Pennsylvania numismatist John A. Beck. Included was a complete date set of early eagles acquired by Harry Bass. This example is from that set. "Obverse: New large star punch, type III, first usage. Star 1 away from curl, star 8 close to cap. Star 9 away from Y, star 13 very close to bust. Star 9 has spine pointed at Y. Nine vertical spines in cap. Rust lump at denticle between stars 2 & 3. 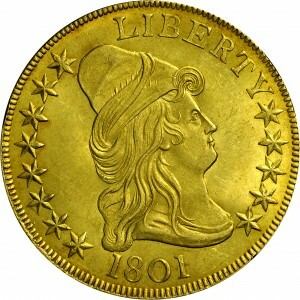 Reverse: That of 1803/A. Lumps at bottoms of left serifs of T(A) and (T)A. A(M) rests on feather tip. Lapped."